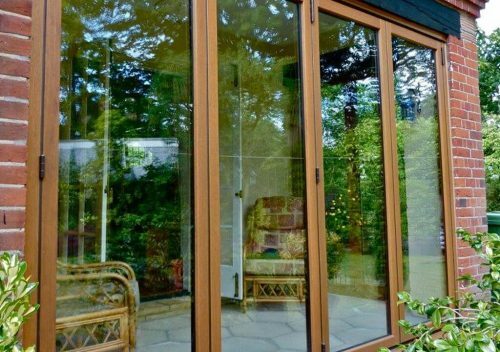 As local specialists of timber bifold doors from the Sunflex UK range, we are proud to offer the SF75H model which is unlike any other bifolding door currently available on the market. 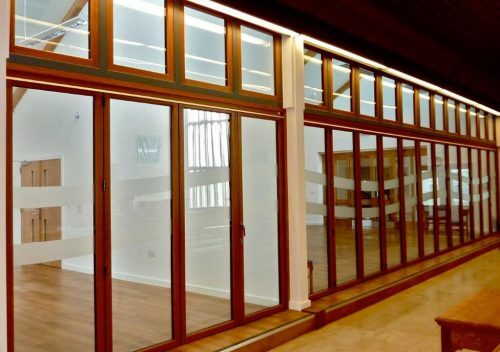 Offering ultra-slim sight-lines of 122mm, these beautiful bifolding doors are slimmer than most aluminium systems around. 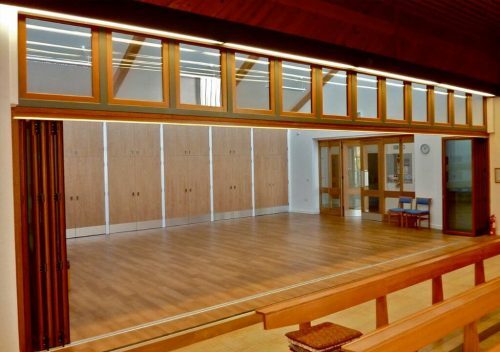 What makes them stand out from the crowd is their unique wind and water weather resistant certification, combined with proactive thermally efficient engineered timber. This provides homeowners and businesses across Guildford, Wimbledon and Esher with valuable peace of mind that their bifolding doors have guaranteed long-lasting strength and stability. Fully capable of accommodating a wide range of aperture specifications, our bifolding door range allow for unrestricted and uncomplicated access with their sleek design and smooth operational qualities. Their unique continuous design also sets this design apart from any other timber bi-folding door, offering additional safety aspects with finger protection coupled with double rebated tracks. 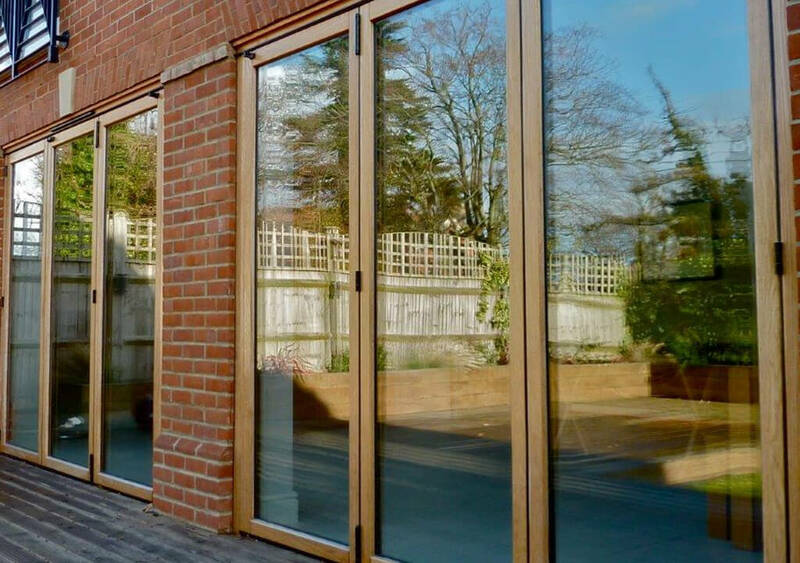 Authentically manufactured in a choice of beautiful Meranti Hardwood, Oak or European Redwood, we integrate a host of technical innovations into our timber bifold door design. 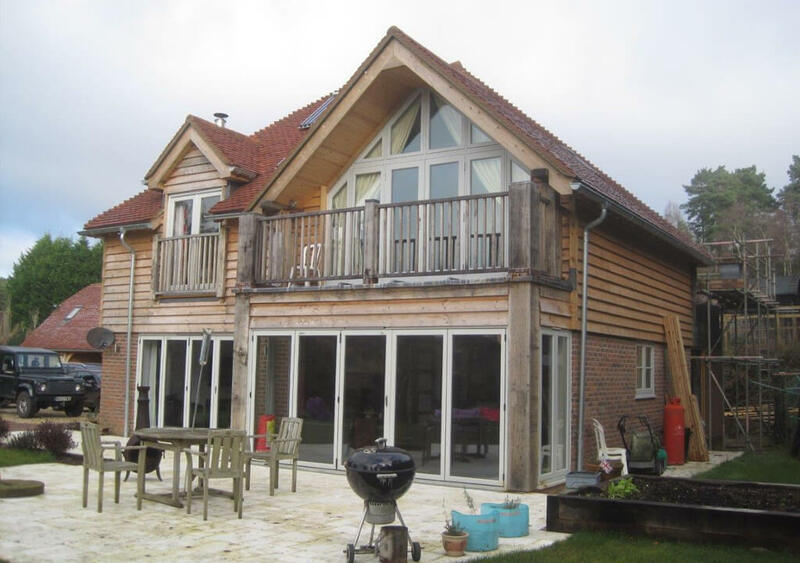 This includes strong layered twist & warp resistant timber, internal glazing as standard with double rebated outer frame sections and a range of high performance paint coatings & stains to choose from. Fully complying with the high specification of our matching timber windows, whether it’s a residential or commercial application, safety is key. 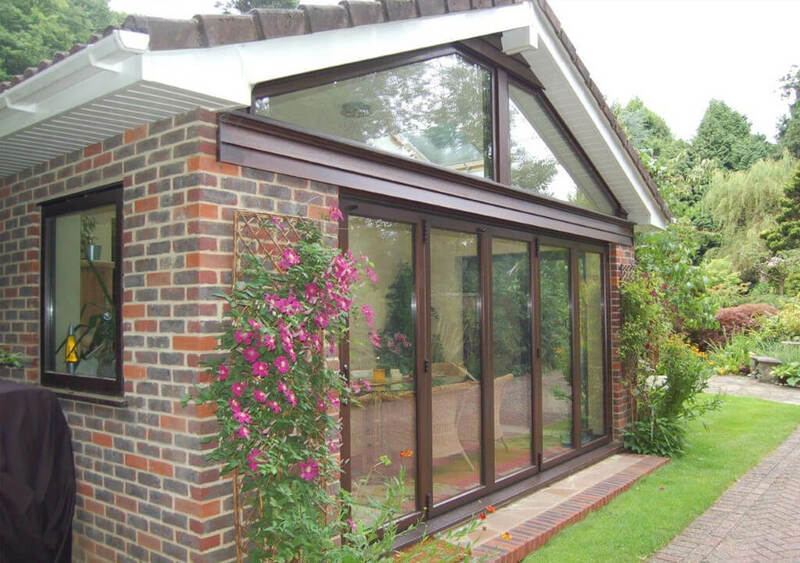 This is why our timber bi-folding doors boast multipoint locking systems as standard. 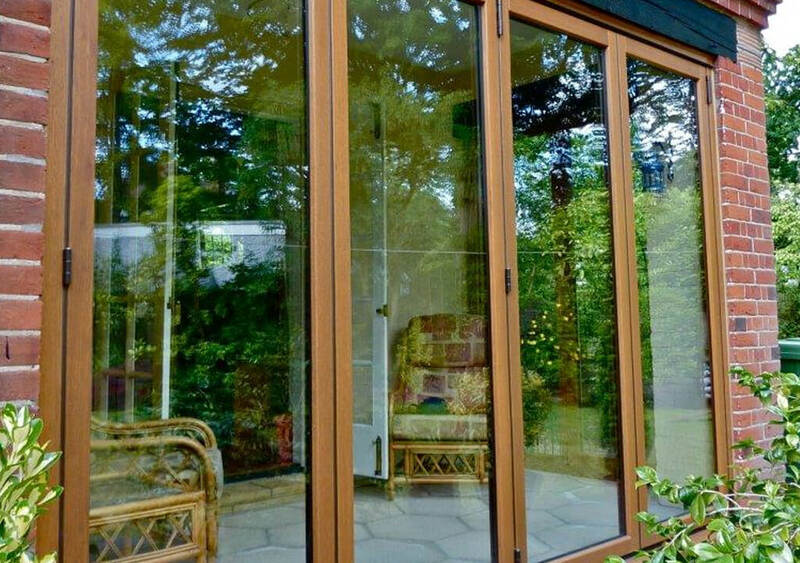 Comprising of top and bottom shoot bolt locking, they also feature additional side locking points on lead door panels and 5 lever Euro-profile cylinders. 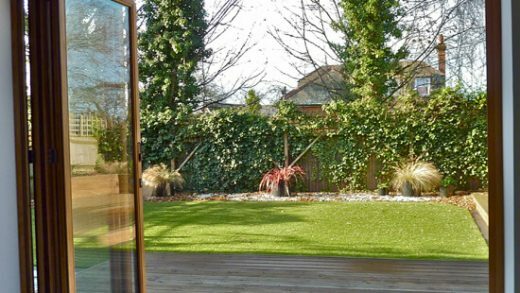 Further high security upgrades and latch locks are also available for security conscious homeowners across the South East of England.